The Meadows! 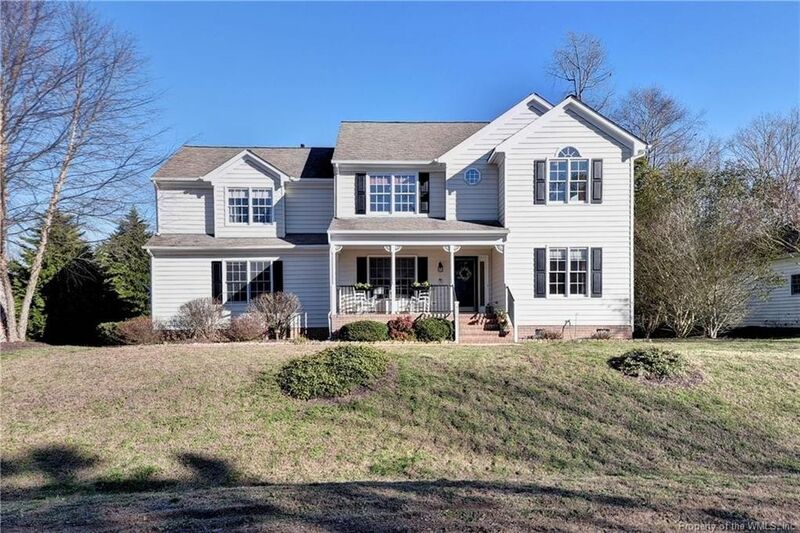 Large Colonial has 4 bedrooms and 2.5 baths! Situated on a lovely .28 acre corner lot. There is a Living Room with laminate floors that would be a terrific home office. The Dining Room can be formal or casual and has laminate floors, crown molding and chair railing. The Great Room is open to the Kitchen and has a cozy gas fireplace. The eat-in Kitchen has been updated with stainless appliances. There is a bay window and access to the deck. Upstairs is the Master suite. There is new carpet, cathedral ceiling and HUGE walk-in closet. The Master Bath has a double sink vanity, jetted tub and walk-in shower. The other 3 bedrooms are a nice size and have new carpet. Large 2 car side-load garage. Rocking chair front porch! The deck is a good size and waiting for the first BBQ. There is an outdoor storage shed. So close to Kidsburg, shopping, restaurants, and entertainment. Directions: Ironbound to Right on Milden. Go towards end. Right on Shackleton. Home on Corner.